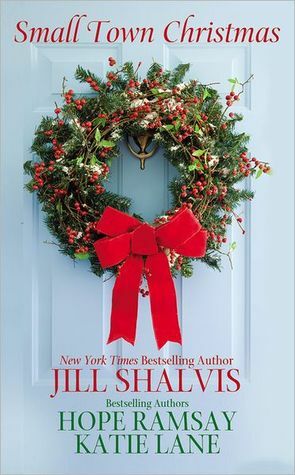 I only read Kissing Santa Claus by Jill Shalvis. So the review and rating are for that short story alone and not the entire anthology as a whole. According to the text, this short takes place approximately 5 months after Lucky Harbor book #2, The Sweetest Thing. To be totally honest, I had wondered how a short story for Logan Perrish, Tara's ex-husband, would manage so soon after their divorce and the end of his battle to reclaim Tara's heart. And honestly, had Logan been a different man rather than the man he had given me the impression he was from The Sweetest Thing, and maybe if I'd read this short story five months after I finished reading The Sweetest Thing, and maybe if Sandy and Logan had had more of a back story than they actually did... I might have been a little more inclined to enjoy it as a short and sweet little romance all on its own for Christmas and holiday's sake. But really, it was a pointless, PWP (plot-what-plot) short story that doesn't sit well with me because I can't fathom how easily Logan falls in love with a woman he only spent a short time with after he'd spent the entire summer chasing after Tara. And to make matters a little more hard to take, I believe Logan and Sandy started off their little fling during THAT same summer he'd spent trying to win Tara back. The two of them were together for a week, then spent the next five months ignoring each other for REASONS, and now they want forever with each other. Maybe if Logan and Sandy were merely starting a tentative, yet exclusive, steady relationship due to chemistry and maybe a bold need to make a change in each other's lives... But the forever "You're it for me and the rest of my life" type of love is a little too difficult to actually believe in and probably easy to brush off if this weren't a short Christmas fic. And that's a lot of "maybes" and "probablys" to work with for such a deep romantic insight, packed into a 30 page short story. Nonetheless, this was a cute little love story. And the guest appearance of Tara for a short scene was delightful enough. But the so-called romantic gestures on Logan's part were kind of tacky and might have been a bit condescending and cliched. Not the best short story in the world.